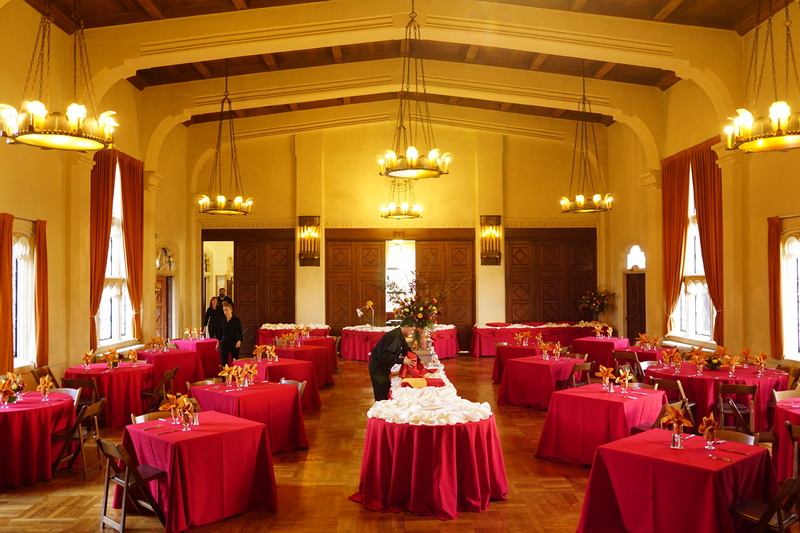 Through the beautiful doors of the Berkeley City Club, our Team Members are ready to put on an amazing event for you and your family. From Food & Beverage to Marketing, Housekeeping to Maintenance, Events to Administrative Support – we are all working hard with a common goal – to bring service, joy and food to our guests in a building loved & treasured by many. Thanksgiving Eve is one of our great traditional buffets at the Club. Chef Alaun began brainstorming and designing a menu for tonight weeks ago. Our hope and intention is to dazzle our guests with traditional Thanksgiving dishes with fancy touches to make them special. 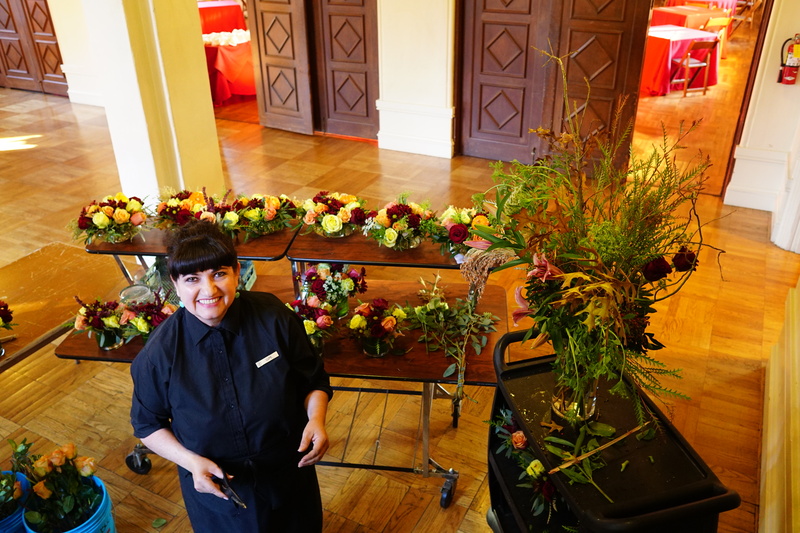 The beauty of the Club is complemented with fresh flowers by Team Member, Lupe Marquez. The details shine in a room already stunning as is, but add dazzling red linens, decadent food, colorful flowers and a committed Team and you have the makings of a successful evening. If you have never treated yourself to one of our buffets at the Club, they are simply delicious. All ages are welcome and the events are open to members and non-members. 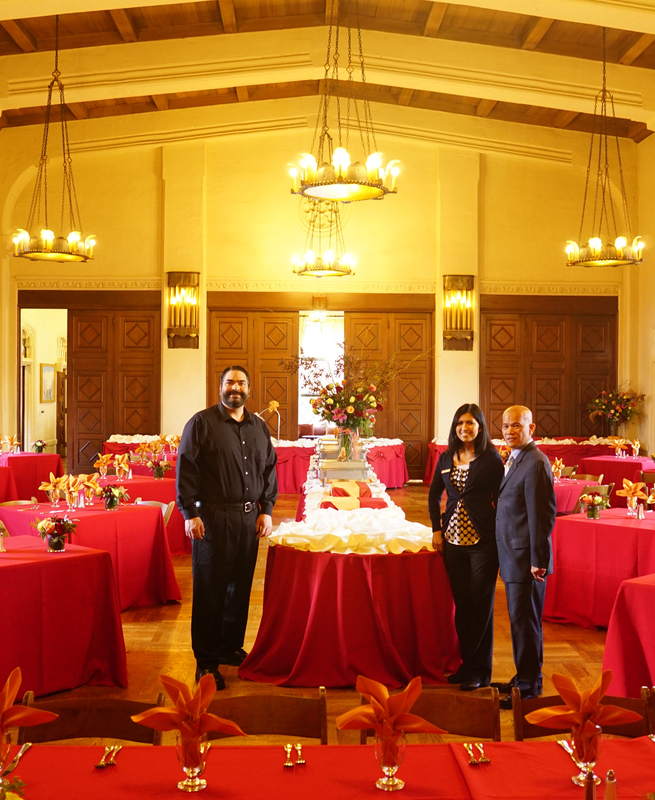 It is a great way to soak up the beautiful building and create a special memory with your loved ones. The doors are about to open for our 5pm reservations – it’s time to shine! We would like to thank our talented Team Member, Trevor Johnson, for the beautiful photography highlighted in this post. Can you believe it? Thanksgiving is a week from today and then the hustle and bustle of the holiday season begins. Here are a few tips to get you through this time of year with grace and ease. From budget-friendly options, to the perfect little bed and breakfast, to the luxury hotel you are splurging on with your special someone, you need the details before you drop your hard-earned money. Find out what makes these places great (or not so much). Candid reviews can be incredibly helpful before venturing into an unknown city for the first time. Trip Advisor, Booking.com and Hotels.com seem to offer un-biased reviews so you are hearing from travelers just like you! Airline miles, that is. Cash in and buy your airline ticket and use the cash you save to shop or experience the sights at your final destination. A few months ago, I was on a recent trip to Southern California, enjoying a few days and nights all to myself. Thanks to some blogging friends, I was able to find a perfect little nail place, great dessert spots, light lunch fare, hidden shopping gems and more – including the best little farmers market. Put your ever-growing friends list to use and ask your friends for feedback for “must do” things on your upcoming trip. If someone had a great experience somewhere, chances are they would love to share about it. Packing light doesn’t have to mean going without. Just be strategic about what you bring. Pack neutrals so you can mix and match if needed. Dresses can be a girl’s best friend in one simple piece. Remember also that layering for colder weather is always better than bringing bulkier pieces. If you can’t get by without a big coat, wear it on the plane to and from and you are good to go! Don’t forget that you can pack socks or other small goods inside your shoes to maximize space in your bag. Now that you have saved some space, tuck a few of your newly acquired treasures in for the trip home. If your travels bring you to Berkeley this holiday season, we suggest taking in the views from the Campanile, shopping on Fourth Street and dinner at Julia’s. Should the need arise to book a hotel room in Berkeley during your travels, feel free to reach out to our friendly Reservations Team at 510.848.7800 or reservations@berkeleycityclub.com.